How do you one-up your outdoor Christmas decor from last year’s? Tiffany Olson shows exactly how. 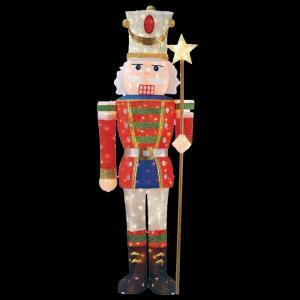 Read the blog to see her classic holiday porch with nutcrackers! One of our family’s favorite activities during the holidays is riding around looking at Christmas lights. It’s the best way to get in the holiday spirit and quite entertaining for our three year old, William. *Any family holiday activity that doesn’t even require getting out of the car, is an activity for me. Last year I realized that we needed to step up our outdoor decor, considering lights were something we really enjoyed, yet all we had was a wreath! We set out to buy some lights for our bushes, but I quickly realized that in order to achieve the symmetrical, festive-but-not-messy look that I wanted, it would require a bit more planning. I thought participating in the Holiday Style Challenge would be the perfect opportunity to do so! I have always loved the rare sighting of front door nutcrackers but always thought they were a bit of a commitment, since they’re huge, heavy, expensive, etc. However, these are none of those things. They were easy to assemble (took about 10 minutes a piece) and the right size to store in our attic. And lastly, they are only $89 a piece. I’m sold. 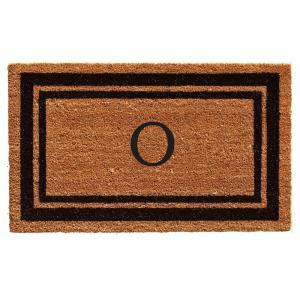 Once I decided on the nutcrackers as a focal point, I knew we needed a new front door mat. I love how everyone seems to be layering mats these days, so I take on the trend. Both mats are really pretty in person but I especially love the high-end look of the monogrammed mat. I was excited to find this one at The Home Depot for such a great price. 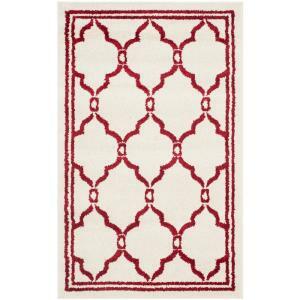 Layering the monogrammed mat with the red and white rug was the perfect way to add a little more color to the entryway. I knew we needed a new wreath, but this was actually one of the hardest pieces to pick out! At first I thought I wanted a big bow with lots of “frills” but I found that I actually prefer a super simple wreath. 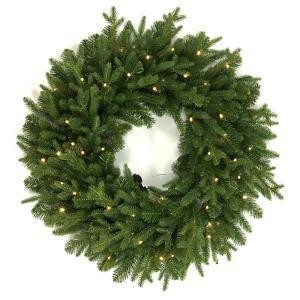 I decided on this 32 inch pre-lit wreath to keep things minimalistic yet festive! I added a few sprigs of cedar to the wreath to match the garland. I wanted to continue our decor into the foyer with a similar color scheme. We are hosting several parties this year, so I decided to add a small table in the foyer to set up a hot cocoa bar eventually. For now, I set up the Santa Mailbox where William and friends can “mail” their letters. I also added these red lanterns with battery operated candles on the inside for an added element of cozy. 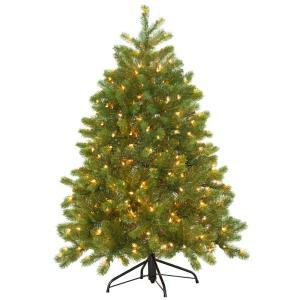 Lastly, I decided to take our round foyer table to another level by adding a 4.5 foot Christmas tree right on top! I decorated it with this pack of 101 red ornaments. William actually picked out the ornaments and helped me put them on the tree. Very glad they are shatterproof! If you are looking to achieve a similar look, I would say the 3 must have items are the monogram door mat, the wreath (hung from a simple velvet ribbon) and either one or two nutcrackers. I hope you enjoyed this Holiday Style Challenge and a peek behind the curtain at my design process! I’m so happy it came together just how I envisioned! For more Christmas & Holiday decor ideas, read through The Home Depot Blog.